CAN you remember where you were when you first listened to Serial? The messiah of all podcasts has been downloaded over 100 million times, making it the most downloaded podcast in history. If, like any normal person, you have listened to it, keep reading because we’re here to count down the top 15 podcasts like Serial. If you aren’t listening to Atlanta Monster, get onto it! A brand new series from HowStuffWorks and Tenderfoot TV, it’s is a multi-part series dedicated to investigating the serial murders of black children from impoverished neighbourhoods that gripped the city of Atlanta from 1979 to 1981. Of course, you need to start listening to this riveting podcast from episode one, but given that they’re only five episodes in, now is the perfect time to get on board and binge until next week’s instalment is released. You won’t regret it. 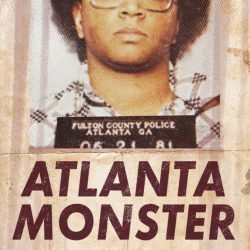 Atlanta Monster comes in at number 15 in our top podcasts like Serial. Heard this podcast before? Leave it a review. Hollywood & Crime investigates the dramatic cold case of the Black Dahlia Serial Killer thought to be responsible for the brutal murder of more than a dozen women in Los Angeles in the late 1940s. The show launches with the investigation into the murder of Elizabeth Short whose severed body was found in January 1947. 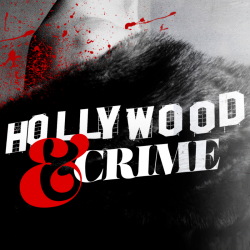 Host, Tracy Pattin, takes listeners beneath glistening Hollywood glamour, into Los Angeles’ dirty underbelly where this serial killer lurked. If you’re after a mystery pod to sink your teeth into, this is it – with 26, 40-ish minute episodes, it will be sure to quench your thirst. 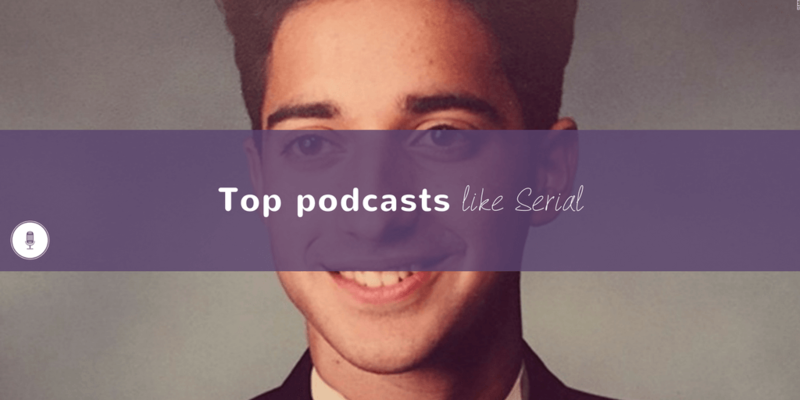 Hollywood & Crime comes in at number 14 in our top podcasts like Serial. Heard this podcast before? Leave it a review. Now into its sixth season, the Atlanta Journal-Constitution’s Breakdown podcast meticulously dissects true crime cases in near-real time. To truly appreciate this podcast, go back and start listening from season 1. Breakdown’s presenter, Bill Rankin, is a seasoned court reporter and it shows – he and his team delve deep into the facts and critically analyse what can be concluded from them. There is also a healthy focus on the legal system and how various interests are sought to be balanced so that justice can be achieved. 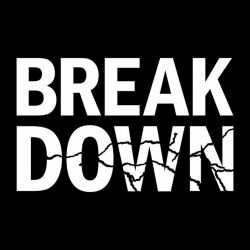 Breakdown is undoubtedly a professionally produced, even-handed podcast that is well worth your time. Breakdown comes in at number 13 in our top podcasts like Serial. Heard this podcast before? Leave it a review. In October 2005, Tara Grinstead, a 30 year old high school teacher disappeared after leaving a friend’s BBQ. Since her disappearance was reported, there has never been a confirmed sighting of Tara and no persons of interest were identified until February 2017. The audio, particularly the interviews, can be difficult to hear but the presenter, Payne Lindsay circles back and ensures that the listener catches pertinent details. Getting a fresh take on Grinstead’s disappearance was always going to be tough given the level of press coverage the case has received. 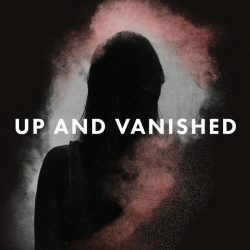 But Lindsay achieves it in Up and Vanished by seeking to crack the tough veneer of small town Ocilla, Georgia and speaking directly to those involved rather than focusing on old case files. Up and Vanished comes in at number 12 in our top podcasts like Serial. Heard this podcast before? Leave it a review. 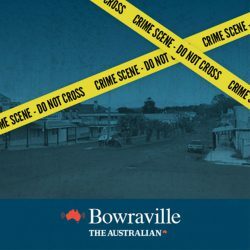 Bowraville comes in at number 11 in our top podcasts like Serial. Heard this podcast before? Leave it a review. Only days after she graduated in 1978, Elizabeth Andes was discovered dead in her apartment in Ohio, USA. Her boyfriend, Robert Young admits to her murder. Two juries acquitted him. Accused, the Cincinnati Inquirer investigates whether he got away with murder or if the investigation failed to reveal the true killer. 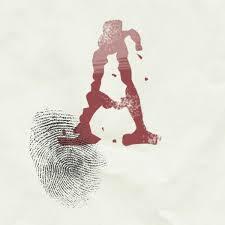 Accused comes in at number 10 in our top podcasts like Serial. Heard this podcast before? Leave it a review. Murder mystery. From the produces of Black Hands comes the brand new pod, Heavy Metal: The Murder of John Reynolds. This time, the team explores the murder of Reynolds, a scrap metal dealer from Christchurch, New Zealand who was beaten to death at his scrap yard in April 1996. His murder has remained unsolved for more than 20 years. With three episodes dropping at once on 10 April 2018, now is the perfect time to get downloading. Heavy Metal: The Murder of John Reynolds comes in at number 9 in our top podcasts like Serial. Heard this podcast before? Leave it a review. Empire on Blood comes in at number 8 in our top podcasts like Serial. Heard this podcast before? Leave it a review. It took 27 years for law enforcement in Minnesota to solve the case of the disappearance of Jacob Wetterling, even though the man who would finally admit to the crime was sitting under their nose the whole time. In The Dark tells the story of Jacob’s disappearance and explores how badly the police bungled their duties to solve the case. 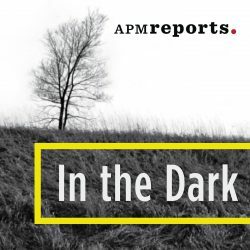 In The Dark comes in at number 7 in our top podcasts like Serial. Heard this podcast before? Leave it a review. Florida’s dark side. Released on 3 April 2018, Felonious Florida tells the story of the 1994 triple murders, known as the Casey’s Nickelodeon Murders, of Butch Casey, Sharon Anderson and Marie Rogers in Miramar, Florida. It’s a story full of twists that include two convictions, a hung jury, two death sentences and two successful appeals. These twists are most compelling when the available evidence is considered: the murders were captured live on video and one of the faces of the murders was revealed. Download and listen to host, Lisa Arthur seek to answer: was this a home-invasion gone awry or were those that were murdered targeted? Felonious Florida comes in at number 6 in our top podcasts like Serial. Heard this podcast before? Leave it a review. Bigger than a podcast. Death in Ice Valley investigates the unsolved mystery of who the Isdal Woman was and how she died. Here are the basic facts: in November 1970 two girls find a woman’s body in the Isdalen Valley in remote Norway; surrounding the deceased were a number of scorched items (paper, water bottles etc. ); no one has ever claimed the body; the circumstances of her death remain completely unknown as does her identity. With that set up, Death in Ice Valley doesn’t hide from falling into the traditional mystery pod genre but the podcast isn’t the end game for investigative journalist, Marit Higraff and British BBC documentary maker, Neil McCarthyit. Death in Ice Valley is not the project, the real project is solving the mystery and the podcast is one of the tools investigators have deployed to help them to do so. Download and discover if you can help solve it. Death in Ice Valley comes in at number 5 in our top podcasts like Serial. Heard this podcast before? Leave it a review. Did David Bain gun down all five members of his family on 20 June 1994? Or was it David’s father, Robin, who was discovered, deceased, with the other four murdered family members in their home in Dunedin, New Zealand? In Black Hands, Martin Van Beynan seeks to answer those questions in this ten-part series. Anchoring the investigation is the analysis of David Bain’s conviction for the mass murder after a trial in 1995 and subsequent acquittal following a second trial in 2009. The depth of experience gained by Van Beynan’s during his time as a court reporter is evident in his presentation and analysis of the evidence. Overall, it’s a comprehensive and engaging pod that is well worth a listen. 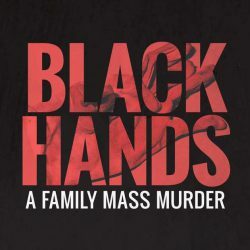 Black Hands comes in at number 4 in our top podcasts like Serial. Heard this podcast before? Leave it a review. Having released three vastly different who-done-it series, David Ridgen and the team at Someone Knows Something know how to produce and present pods of this genre. In the first series, Ridgen investigates the case of Adrien McNaughton who, in 1972 at the age of five, while on a family fishing trip, vanished without a trace. In season two, Ridgen searches for answers in the case of Sheryl Sheppard who disappeared 4 days after her boyfriend proposed to her on national television, in 1998. The most recent series investigates the murders of Charles Moore and Henry Dee who were found in the Mississippi River in 1964. Someone Knows Something comes in at number 3 in our top podcasts like Serial. Heard this podcast before? Leave it a review. An exceptional true-crime story of deception, seduction, stupidity and survival that masterfully leaves the listener wondering, who done what to whom? until the last episode in the six part series. 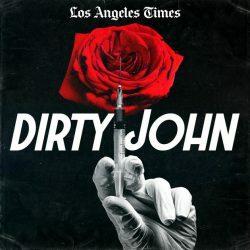 Presented by the Los Angeles Times and hosted by journalist, Christopher Goffard, Dirty John is a captivating true story of Debra Newell’s ill-fated brief marriage to John Meehan. Fans of hosts staying out of the story will love this podcast. Goffard resists the urge to inform listeners of his views and leaves the story to be told predominantly by Debra Newell and two of her daughters, Jacqueline and Tarra. Dirty John comes in at number 2 in our top podcasts like Serial. Heard this podcast before? Leave it a review. This is a portrait of a life; a masterpiece. 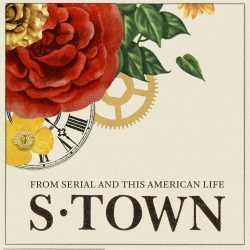 S-Town absolutely deserves to be ranked number 1 in our top podcasts like Serial list but we aren’t going to tell you why. Telling you too much would detract from the listening experience. All we’ll say is: do not be discouraged by how perplexed you will feel after episode 1 and most of episode 2. By the end of episode 2, you will be hooked. And, enjoy. It’s like a good book – the more times you listen to it, the better it gets. 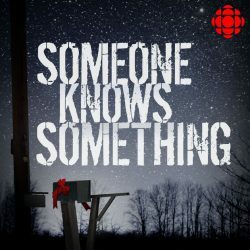 S-Town comes in at number 1 in our top podcasts like Serial. Heard this podcast before? Leave it a review.